After what seemed like a really long time to go without either a teaser or a title for Episode IX, both were finally revealed this last Friday at Star Wars Celebration. Here then are a few of the things from that teaser trailer which caught my eye/sparked my interest. Billed as the last chapter in a nine part saga, and with this trailer released just a few weeks ahead of the twentieth anniversary of the release of the first chapter in that saga, I love the way the early moments of the trailer echo the early moments of the Phantom Menace trailer, from the "every generation has a legend" title card, to the cut of a vehicle racing across a desert landscape, to the way the vehicle is moving left to right in Phantom but right to left in this one, thereby completing the loop. I mean, that backflip over the TIE with the lighsaber extended is just cool. More lightsaber-based combat is always appreciated, especially since the number of lightsaber-wielders has dropped considerably since the Prequels. Lando's back and he's flying the Falcon! And he looks exceedingly happy about it. We've never actually seen a Dark Side Force-user leading troops into battle (the closest is probably Vader storming through Echo Base alongside some Snowtroopers in Empire, but he's not exactly charging through Rebel ranks, lightsaber extended, alongside his crack troops), so it's exciting to see Kylo Ren fighting side-by-side with some Stormtroopers in this. The main characters of the sequel trilogy have spent much of it separate from one another; heck, Poe doesn't even meet Rey until the closing minutes of The Last Jedi. But judging by a handful of shots in the trailer (and a few things said at the teaser reveal panel at Celebration), it looks like the main trio of the Sequel Trilogy will finally be going on an adventure together in this movie. "Fine," says JJ Abram, "no Death Star-esque super weapon in this movie. But I'm still going to show a Death Star!" And all jokes aside, that really is a cool shot of Rey & Poe looking down on the cracked half-circle of a Death Star's super laser, a shot not unlike the one from the Force Awakens trailer of the crashed, half-buried Star Destroyer on Jakku. This, presumably, is the second Death Star, given this is the final movie in this trilogy and will likely echo Return of the Jedi, but I'm not sure if the planet is meant to be the Sanctuary Moon (featuring a part of it not seen in Jedi; there'd have to be water somewhere on that moon to support all that tree life), or another moon of Endor nearby (I'm also digging Poe's "Han Solo by way of Indiana Jones" look in these shots). Finally, a few words on the title: as I said on Twitter shortly after it was announced, I think my favorite thing about it is that I have no idea what it means. I don't think it indicates an intent on Abrams part to repudiate the "Rey comes from nothing" portion of Last Jedi, as some on the internet have suggested. 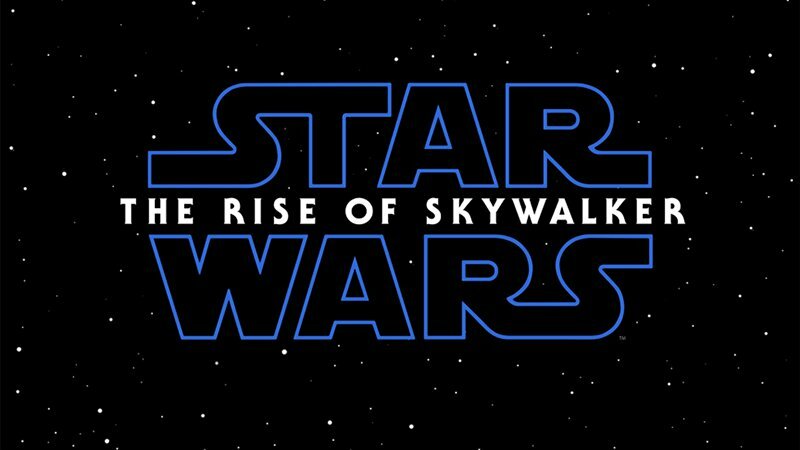 Rather, I suspect it's a more symbolic title (ie Rey becomes a Skywalker because she carries on Luke's legacy, as opposed to being biologically-related to him), or a reference to some kind of proper noun that is named Skywalker - it's what Rey calls the next generation of Force-users instead of "Jedi", or some kind of Resistance base/vehicle/philosophy. 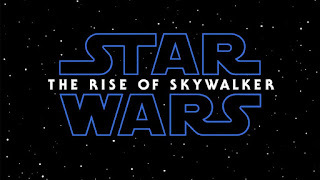 That said, it kind of bugs me that it's not "Rise of the Skywalker", both because it would better echo the previous trilogy-concluding film titles' format of "[R-word] of the [Star Wars-specific Proper Noun]" better, and because, if Skywalker in the title does end up becoming a non-person-specific proper noun, putting "the" in front of it probably makes more sense, meaning they changed the title construction just to keep a secret/not reveal too much, which is lame. X-amining Avengers #47-49 - Patreon First! X-amining X-Men 2099 #16 - Patreon First! X-amining X-Men 2099 #15 - Patreon First! X-amining X-Men 2099 #14 - Patreon First! X-amining X-Men 2099 #13 - Patreon First!